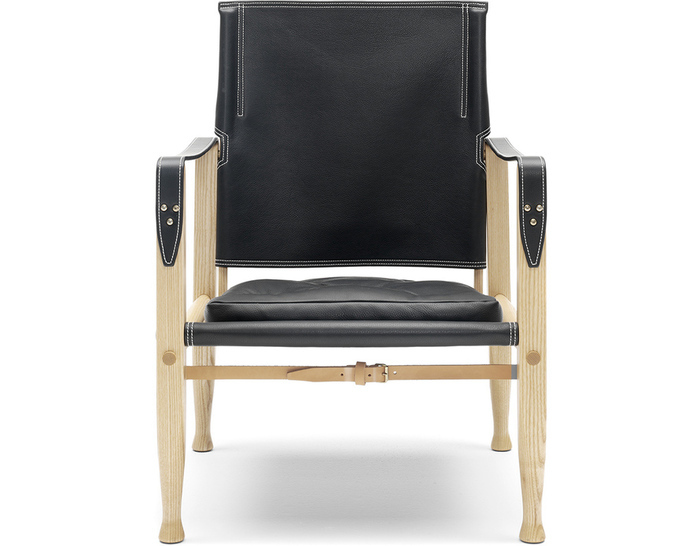 Kaare Klint designed the Safari chair and stool in 1933, inspired by a British officer's chair he had seen in a travel guide for Africa. 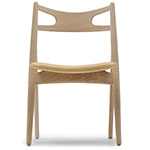 The first models of the chair were sold to some of Kaare Klint's colleagues, such as Arne Jacobsen, who saw clear possibilities in the simple, functional style. 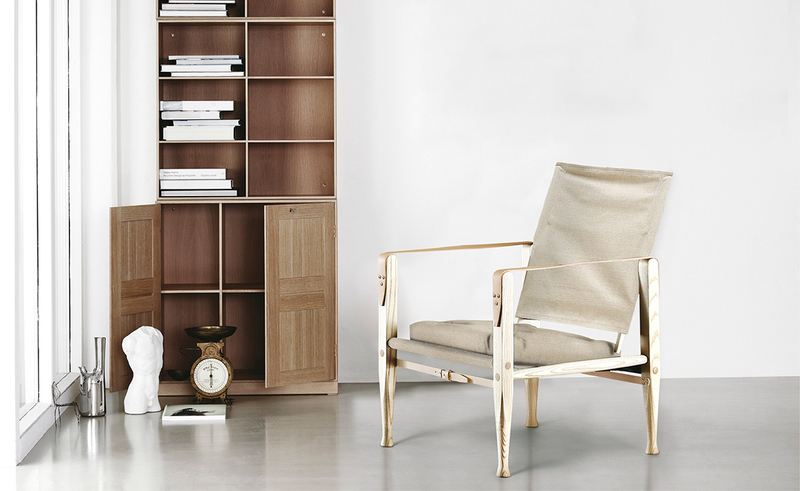 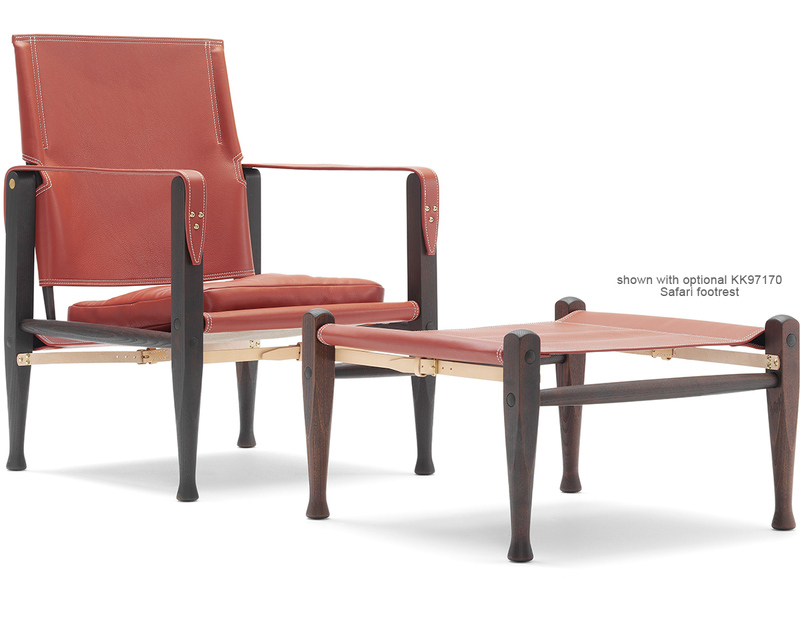 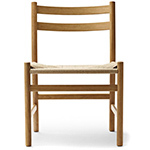 The Safari chair is by far Kaare Klint's most well know and sold piece. 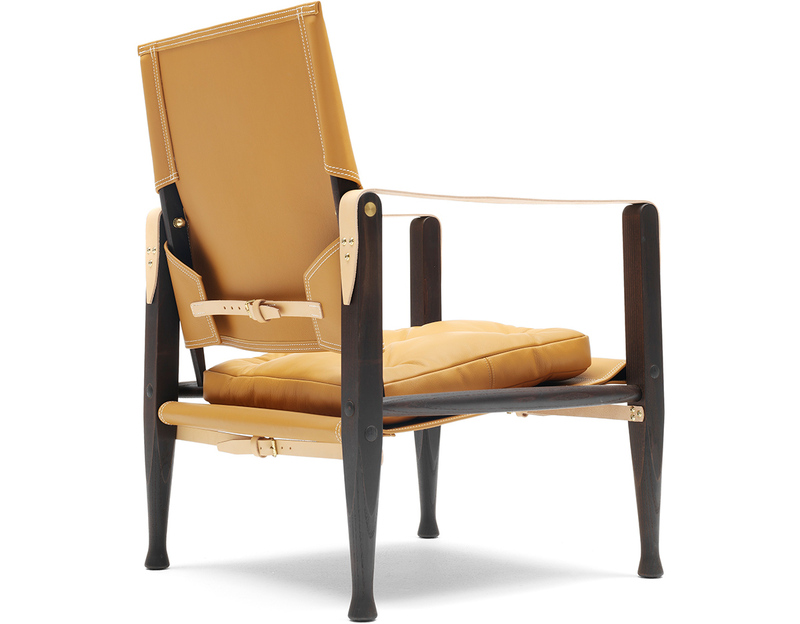 More than 100,000 pieces have been sold since it was first made in 1933. 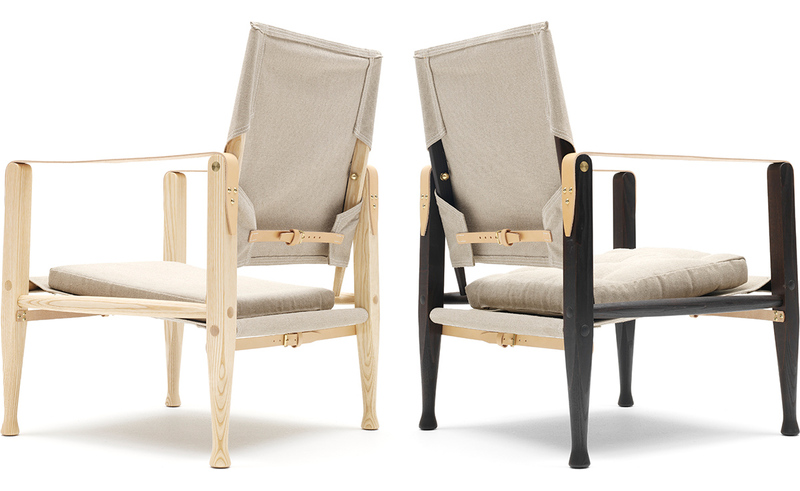 Kaare Klint's Safari chair is one of the world's first 'build-it-yourself' piece of furniture. 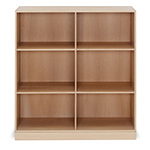 It is shipped disassembled in a small card board box and can easily be assembled and disassembled without using any tools. 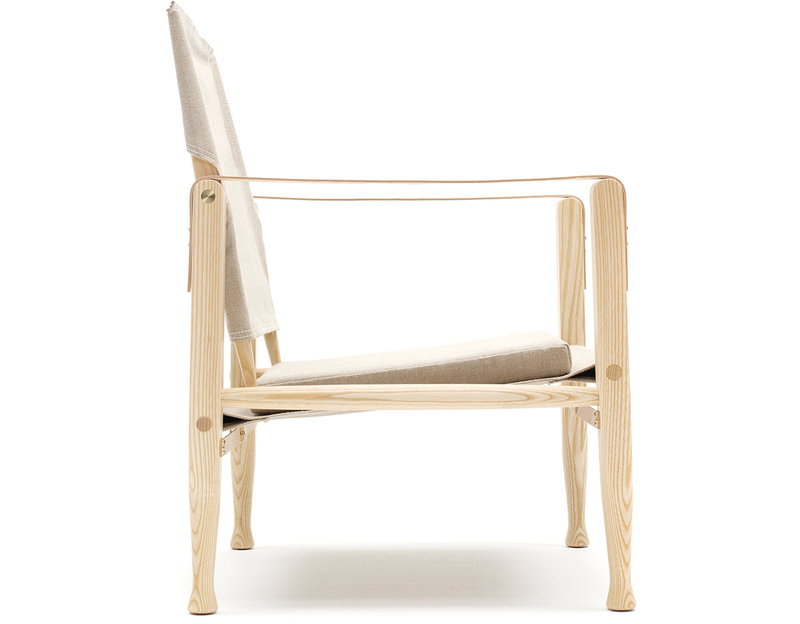 The flexible construction of the chair means it adapts to both the floor it is placed on as well as the person sitting in it. 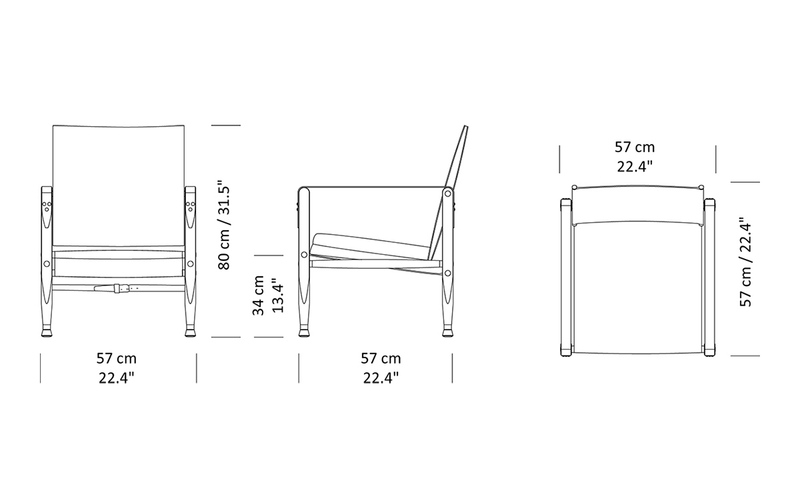 The simple 'knock-down' construction of the Safari chair also means it is possible to accuire spare parts for the chair, should they break. 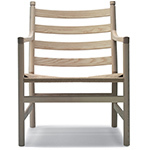 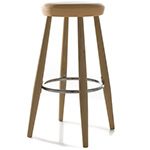 The Safari chair has a matching foot stool which is made after the exact same simple principle. It comes in the same finishes as the Safari chair. 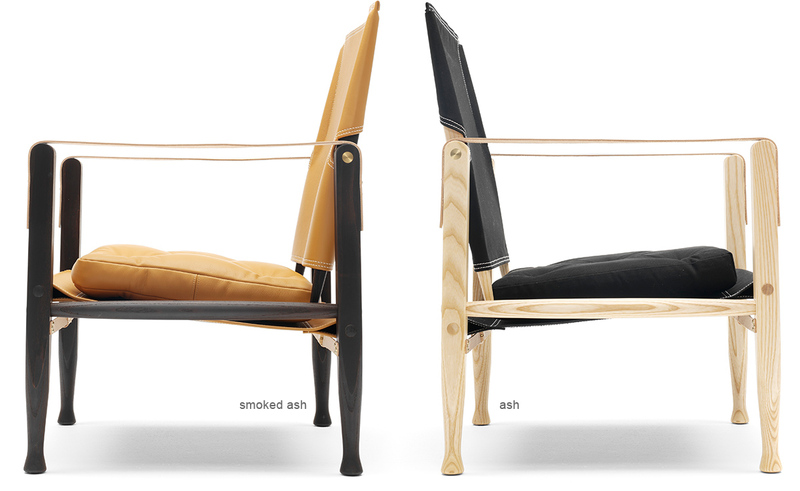 The Safari chair is made in oil treated ash - either light or smoked. 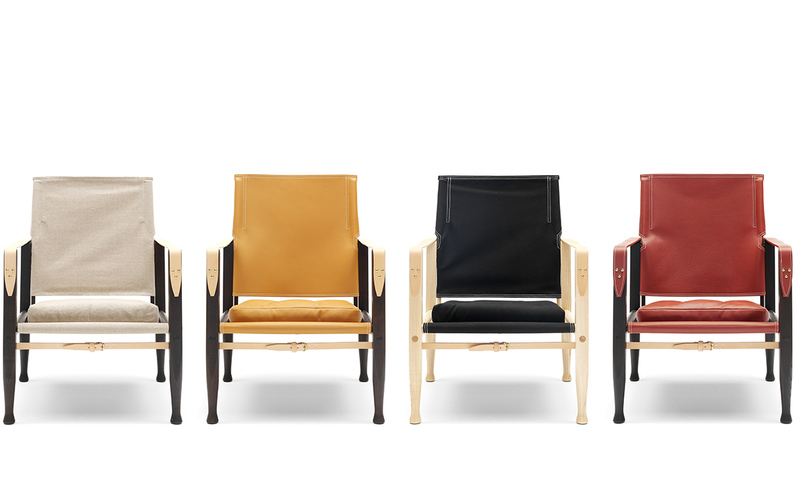 Covers are made in four colors of cotton canvas or ox hide. 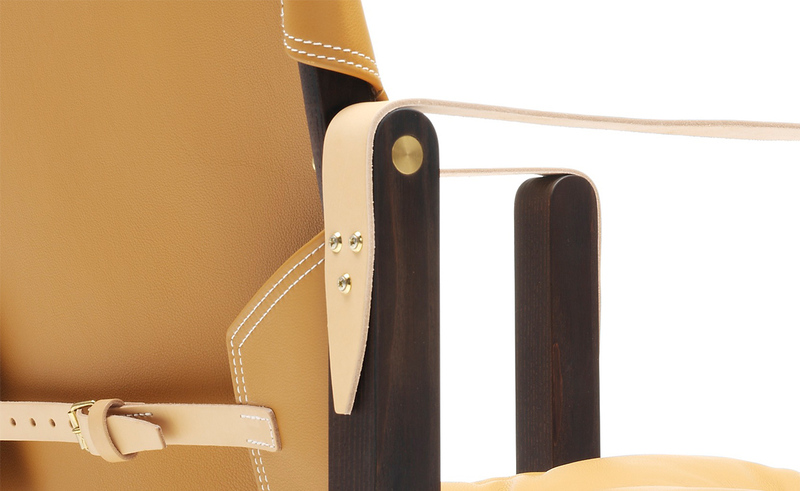 Armstraps can be ordered in natural saddle leather or stitched leather and will match the color of the seat & back upholstery. 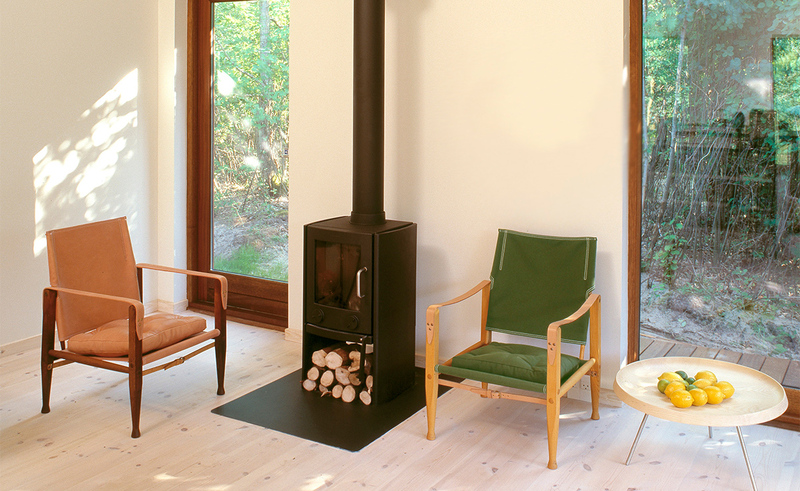 The cushion for the seat can be made with or without buttons. 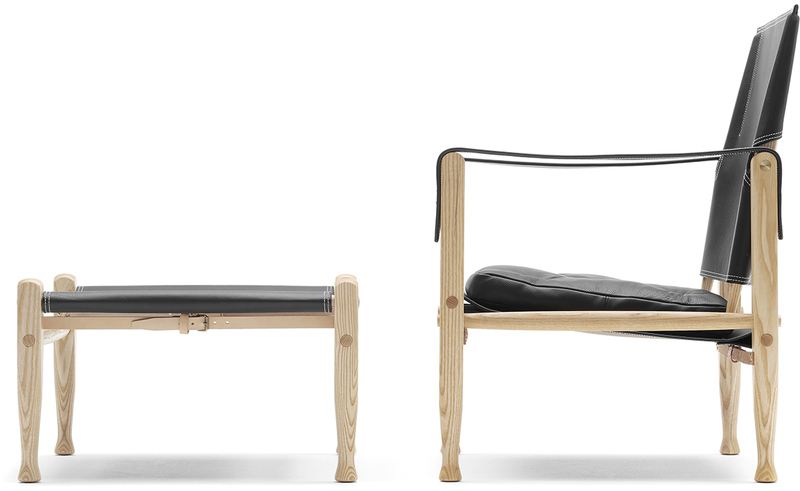 Please note: The stitches on the seat, back and leather arm straps will always be white contrast stitches except on the saddle leather arm straps, as they appear without any stitches. 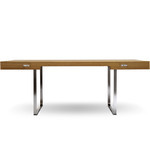 $1,205.00 + free shipping in the continental U.S.